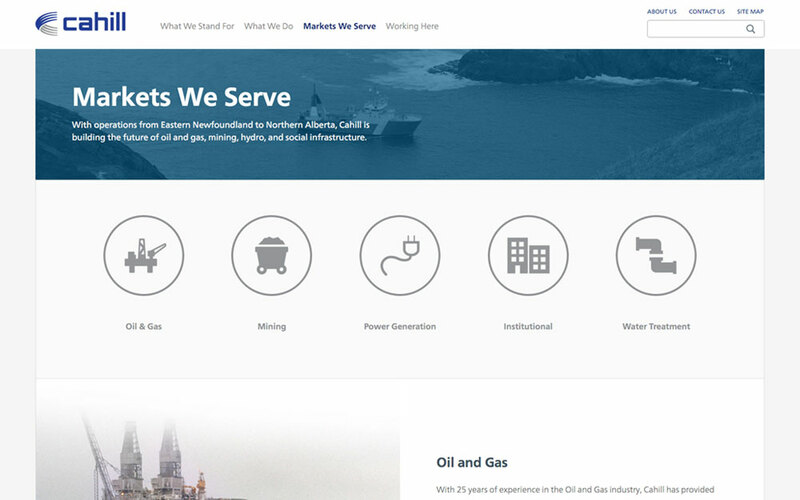 When it came time to launch their clients fresh new brand and corporate structure, our partner agency in Newfoundland needed someone to design and develop a website to match. Also, to compound the challenge, timing and teamwork were essential for preparing the site to go live with the new brand! 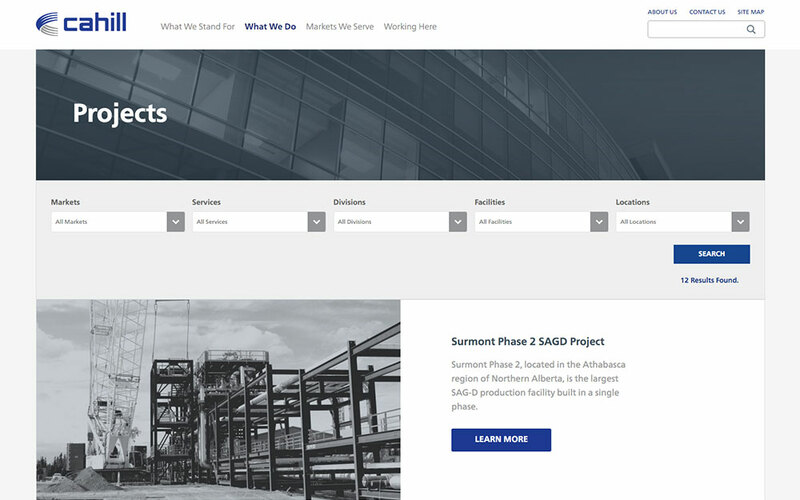 We created more than a new, responsive design for the site, we also revisited the IA with the client to restructure the content, so that visitors could easily navigate it and find the info they needed quickly. This ease of use extended to the backend as well, where we provided an elegant and intuitive administrative interface for keeping the website’s content updated. 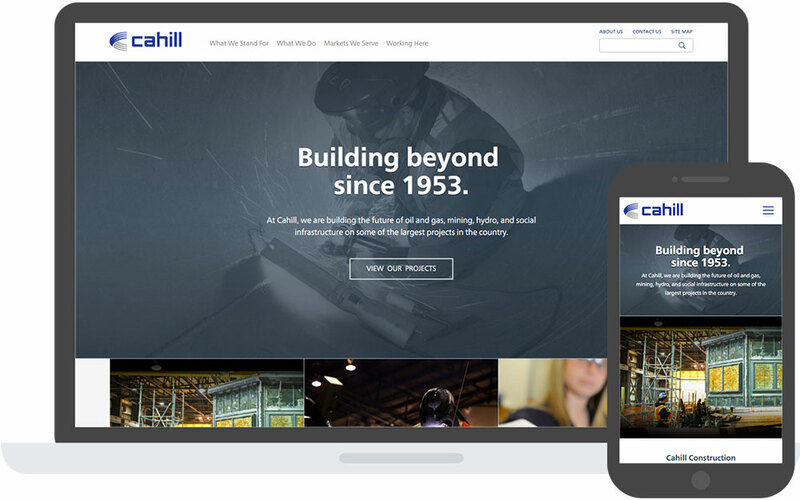 The result is a dynamic site that showcases the new branding, is easy to navigate and update, and will grow with Cahill going forward.